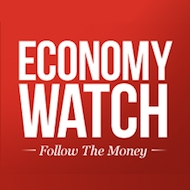 David is a writer for the popular economic news site Economywatch. During the decade after the 1997 Asian financial crisis, China was generally seen throughout East Asia as a friendly alternative power-center to the American-led Washington-consensus that told countries in trouble they had to force their banks to declare their bad loans and clean up the political influence of big finance – commands which, of course, the US completely ignored when its own banking & insurance sectors went over the cliff in Black September 2008. Concern is particularly acute among China’s economic partners to the south. After a decade of trade surpluses with Asean [ Association of South East Asian Nations ] nations that ran as high as $20 billion, the surplus through October totaled a bare $535 million, according to Chinese customs figures, and appears headed toward a 10-year low. That is prompting some rethinking of the conventional wisdom that China’s rise is a windfall for the whole neighbourhood. One immediate area of contention is the stability of China’s currency, linked tightly as it is to the US dollar. This was greatly appreciated by ASEAN countries in 1997, when the yuan / renminbi, appreciated against their currencies along with the US dollar, allowing the prices of their exports to remain relatively low vis-à-vis Chinese exports. While it is ludicrous for Americans to complain about the relative under-valuation of the yuan compared to the US dollar – Chinese and American exports occupy completely different ends of the manufacturing sector, whether in the US or third-country markets – the situation is quite different for SE Asian countries, which DO compete directly with China in both their home and third-party markets. The result is the beginning of a round of so-called “competitive devaluations,” in which governments rapidly decrease the relative value of their currencies, in order to keep the prices of their exports lower than those of competitors from other nations. As a result, Indonesia, among others, is expressing considerable unhappiness with a recently-concluded free-trade pact between the main ASEAN countries and China. Part of the problem for Indonesia and other low-cost / export-oriented nations is that they are simply following in China’s footsteps in pursuing that basic strategy for economic development – just as China did with Japan and, later, South Korea. However much the rest of the world may complain, there is no way China is going to become a US-like “global consumer of last resort” in the foreseeable future – such a transition is far from easy, as shown by the brutal recent experience of South Korea, and Japan since the crash of its [ commercial ] real estate market in 1989, from which it is still recovering. And even if they might want to change the structure of their economy – which is understandably unclear – it would be awfully difficult, given the existing set-up, since while the rest of the world is in recession, China continues to undergo a prolonged boom. on the other, as indicated by the complaints of Indonesia and other ASEAN nations alluded to above, China has just about cornered the Wal-Mart / Target end of the American market – the one sector of the US economy that is definitely growing rapidly. The result is a rapidly growing consumer market in China at the very moment the US and European macro-economies are barely holding on, if not caving in completely. Credit card spending rose 40 percent in the first nine months of the year compared with the same period last year, yet China still has just one credit card for every eight people, compared to two credit cards for each American man, woman and child. Now, it remains uncertain how long this consumer spending boom, as there are understandable fears that low interest rates and easy credit will end up creating the same disasters now afflicting the US and the rest of the West. Total consumer spending in China is still less than a sixth of American consumer spending at current prices and exchange rates. That is mainly because China has relatively few restaurants, hotels and other service businesses, even as sales of manufactured goods have risen. The average price tags on most Chinese products are much lower than in Western markets. While the Chinese market is one-quarter larger in the number of cars sold, the American market is still about two-thirds larger in dollar terms. Similarly, the United States market for household appliances is a third larger in dollars, even though the Chinese market is a third larger in the number of appliances. So while it might be understandable that some Americans believe China is now economically more powerful than the US, it’s not true, and won’t be so for quite a while, despite this sudden surge of Chinese consumer spending – especially because all of this cash STILL is a result of China’s dependence on the US import market. Finally, if there IS a potential danger in Chinese “business culture,” it might come more to the Chinese people themselves than either its SE Asian neighbors or the US – namely, the potential dangers of its “great leap forward” in the construction of civilian nuclear energy plants. To be sure, this is encouraging on the global warming front, where China is now the largest TOTAL emitter of carbon-based pollution, although, again, its per capita contribution is far less than the US. disregard for safety standards, as evidenced by the horrific toll in the Sichuan earthquake last year – can’t help but give rise to concerns, above all among the Chinese themselves, about the potential dangers of “breakneck” nuclear plant construction. China is preparing to build three times as many nuclear power plants in the coming decade as the rest of the world combined, a breakneck pace with the potential to help slow global warming. China’s civilian nuclear power industry — with 11 reactors operating and construction starting on as many as an additional 10 each year — is not known to have had a serious accident in 15 years of large-scale electricity production. And with China already the largest emitter of gases blamed for global warming, the expansion of nuclear power would at least slow the increase in emissions. Yet inside and outside the country, the speed of the construction program has raised safety concerns. And should anyone think such concerns are related to China alone, one might do well to re-call that the last time such a full-on nuclear energy campaign was undertaken, it was in the post-1973-oil-crisis US – which ended abruptly with the disastrous Three-Mile Island meltdown in 1979. While examples of safety-ignoring practices in consumer sectors like food, pharmaceutical, toys and school construction are legion, China DOES have a much better record in areas like aviation, where the government generally pays strict attention. Still, scandals have already arisen in one area of the nuclear sector, and there is, naturally, concern about cutting corners among the inevitably growing ranks of contractors and sub-contractors. The challenge for China is to build and operate its nuclear reactors without the equivalent of the Three Mile Island accident, in which a reactor core partly melted and released radioactivity, or the Chernobyl disaster in the former Soviet Union in 1986, the world’s worst civilian nuclear accident. China does not use the kind of reactor that exploded at Chernobyl. And engineers in China study the mistakes that poorly trained operators made at Three Mile Island. So whatever fears Indonesians or Americans may have about the rapid rate of China’s economic growth, the people with the most to worry about may well be the Chinese people themselves. David, you are correct when you call the Three Mile Island accident the worst civilian accident, but as it turned out it was small beer. And I suspect that the new reactors of the Chinese will be Gen 3 reactors, and so popular concern is of little 'scientific' significance. Let me suggest that you spend some time with CNN adverts. As a gentleman from Siemens says, the electricity age is on the horizon, and so those nuclear plants are essential for the Chinese people - regardless of what you say they are worried about. My new energy economics book also says a few things about this issue.